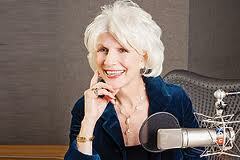 Diane Rehm who hosts an NPR show of her name, suffers from a voice disorder called Spasmodic Dysphonia. On April 18, 2011, she hosted a show on vocal issues with expert guests addressing what makes a healthy voice. The experts range from physician laryngologist Dr. Nazaneen Grant to voice coaches.